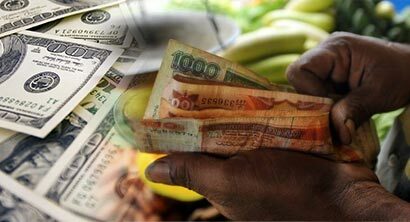 Sri Lankan Rupee drops to a record low against US Dollar as the selling price reaches 161.0082. Meanwhile the buying rate has been recorded at 157.8084. What? Suppose create the economic hub of the world according to the prime minister. Soon, it will be LKR 200. However, when Phottuwa govern the country in 2019, Grandpa Cumarasamee will be sent home and Cabraal will be CB Chief. Then we can speculate in the Greek Bond Market and pay-off all the debts incurred by Gamrala and Co. The US dollar will then become LKR 100! Did I forget a zero at the end? Danny Ibrahim . No you forgot two zeros at the end. When the 95% of the working population is over maned what do you expect? I’m sorry, Do we even have a financial minister? Why do we even need this people if this is what’s happening? Ranjith , Not only PM planned economic hum. Mahinda Rajapakse time, they propagandized that they were trying to form 4 or five hums, education, transport and logistics, knowledge etc,. You remember Ranjith how he ended?